Over the past few months, T-Mobile been working hard behind the scenes to get its 20+20 network up and running in a few major areas, boosting LTE speeds up to between 60-100Mbps in Dallas. But, it’s also still on its LTE rollout across the country. Although it’s not on the official list of markets covered yet, we’ve had one of our readers get in touch from Cincinnati, OH with evidence that LTE is being lit up. The screenshot (above) was taken at the university of Cincinnati campus – although the weather app shows Finneytown (not too far away) – and he was lucky enough to have a short taste of LTE before it disappeared again. Like I said, this isn’t a big network power on. It’s more than likely an engineer testing and getting it ready. But, at least we know the city is going to be among the next to receive the US’ fastest LTE network upgrade. Be sure to get in touch if LTE lights up in your area, or if you notice a massive speed bump on your device. Also, if you happen to be in Cincinnati and have seen the same, or managed to actually used the network to perform a speed test, give us a shout. Any sightings or information should be sent to cam@tmonews.com. I have been using LTE in the Northern Cincinnati Suburb of West Chester for a few weeks now. I have seen 13mb/6mb up there during speed tests. It sure would be nice to see it all over the city though! I replied to another post (off topic on that one) that I saw it for a few seconds before I crossed over to 4G land. I was just passing Union Centre on 75 South and before I could speed test my wife’s iPhone and my G Flex switched back to 4G. I’ve been checking off and on while working downtown (5th and Main) but it has not come up here. 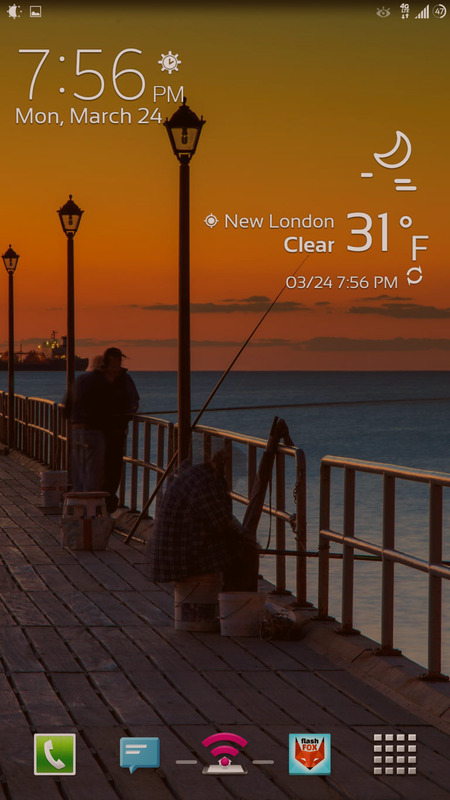 I am glad to see that I am not the only one that has Finneytown on their weather widget! Yeah, as soon as I cross the river into downtown, my weather widget brings up Finneytown, what? a good 7 miles north of downtown? it’s never really said Cincinnati, that I can remember. off topic but that’s like facebook….anywhere in Cincinnati you post it comes up Clifton. Don’t you hate it when people like that can’t stay on topic? ;) hahaha! I was just excited ! Looks normal during testing. Only a matter of time until it’s really live. Weirdly enough the signal doesn’t go to full bars very often. When I got the Kitkat update for the Note 3 I got an extra bar on the signal for LTE coverage. It still works when it drops to 4G/3G for a phone call. Yehaw , best news for me in a long time. Everytime i go south to Cincinnati it drops to E/3G , maybe we can get some LTE on a regular basis and enjoy it. Still waiting for the forum to start again. Could make a thread specific for new LTE sightings. Especially useful for the 2G -> LTE work :). According to Sensorly the exit onto the Norwood Lateral picked up a blip of Lte. I drove by to see if I could re-create it but I was not successful, I am assuming it must have been a test. I did however pick up LTE at Tri-County Mall. Sounds like when LTE briefly popped up last year in Dallas (before it was deployed), around Old Denton Rd and Hebron Rd in Carrollton, whilst on Sam Rayburn. But of course, TmoNews fails to cover it again! I’m sure TmoNews can’t cover every specific LTE site being turned on at any given moment, unless they have T-Mobile’s software. Considering the DFW metroplex is the 4th largest in the US (population-wise), and Cincinnati is like 1/7th the size of DFW, it was quite unfortunate it was not covered. This is nothing compared to LTE being spotted briefly in Dallas. I am getting these kind of issues in Wilmington, Nc. Very few streets actually have lte while the rest of the city has HSPA+. The maps are wrong on tmobiles website because it says we are fully covered LTE city. This is not that case. make sure you call tmobile and let them know! I wont stop calling until tmobile fixes this. I’m anxious as anyone for LTE here, but so far the only area lit up is west Chester. It’s not inside the cincinnati loop. All of what is truly cincinnati and the heart of the population is still waiting. I like that there’s at least hope though. I live in Dayton Ohio. We have had LTE for awhile so it’s exciting to see our friends to the south get LTE. It’s also worth noting that Bloomington/Normal , Illinois is seeing LTE as well! Here in Middletown Ohio, I to am picking up LTE. The signal is rather weak and showing 1 bar, but it does show that I am picking it up. Glad to see the roll outs happening. I just noticed LTE in the small town I live in, New London, CT. I also have LTE in Waterford, CT which is the next town over. I figured we’d get it next year since we are a tiny little town but the other day LTE popped up. I’ll try to remember to get a screen shot when I get back home. We have had LTE in Odessa, Texas and Midland, Texas for about a month. Do you know if fort Stockton area has T-Mobile coverage? Here are the screen shots from New London CT. Almost 40 download and 21 upload here in DC area. How do I check if my city is using 5×5 or 10×10 LTE? On my phone I know if you press *#0011# it will give you a DL bw number that’s what it is for the GS4 at least. Okay thanks! I have a GS4 too. 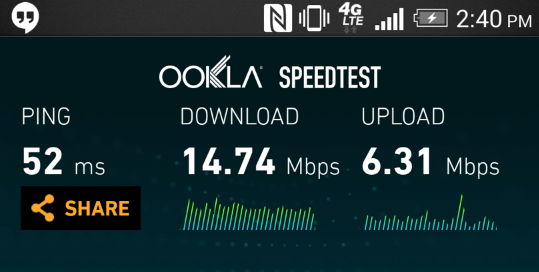 15mb down 3 up on regular 4G Network no LTE in sight yet, but from what im seeing from some readers we are doing pretty good for a small border town. I live in Allen Texas (north of plano tx and about 20 mins north of Dallas ) I ran speed test yesterday and I got 79.14 up and 16.99 down. Ran the test 4 times in row and got the same numbers! It’s just amazing! It popped up here in Brainerd, MN over the weekend and I’ve been getting about 40megabits down and 20 up. This is a pretty rural area, so this is awesome. 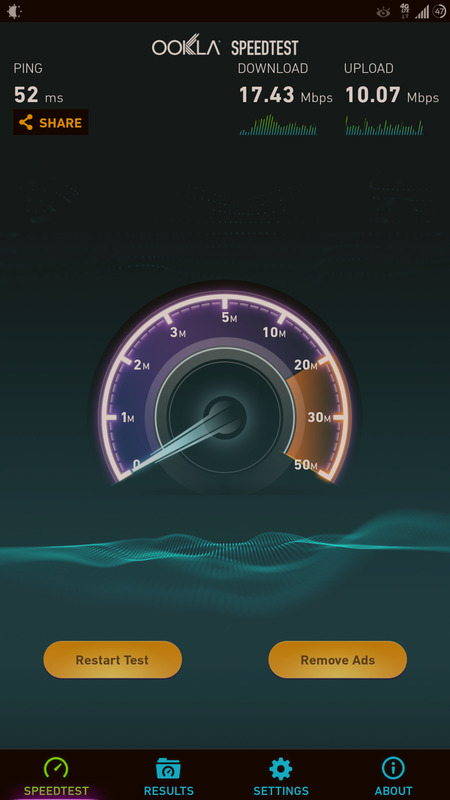 This was on a Nexus 4 with lte-enabled modem. It isn’t my phone cause I had about 4 Galaxy Note II replacements that experienced the same and my One is the same as well. It is because of the bandwith differences they release each on. It is quite possible (while I don’t know for sure) that the HSPA is on a 1700 or 1900 band whereas the LTE is on 2100 band. This would lead to you having a shorter range (but more capacity) when on lte vs HSPA. And they wouldn’t entirely explain the fact that in an area, where I know a tower has LTE and HSPA, I can look at -65- -75dBm on HSPA while I’ll see -80- -90dBm on LTE. I mean that is the goal. It is not necessarily a certain that is what all areas are getting you can check in your phone’s settings possibly. I posted below if you hit *#0011# it will tell you the EARFCN_dl which is the central frequency you are operating on. As well as LTE DL BW which will let you know if you are 5 5, 10 10….etc for bandwidth. I wish it were possible to get information like this on stock android. I went to a T-Mobile store and did a dialer code on an iPhone 5s anditbwas connected to 10+10mhz. I didn’t check HSPA signal there, though. Do you think it’s likely that T-Mobile broadcasts LTE on a lower power than HSPA? And I know the area I mentioned earlier where one router has LTE and HSPA, I know it must be 10+10mhz because I seer 30+Mbps there on LTE. Speed is not an indication of bandwidth, too many other things to take into consideration such as concurrent use. T-Mobile has a ton of spectrum between 1700-2100 eventually they want that all to be LTE so it is possible it could be on a lower point. All I can attest to is that the LTE I have been seeing where I live is around 2100. I was under the impression that 1700 and 2100 were used separately for download and upload? More bandwidth – on LTE – will give you more speed (larger pipe is the analogy). However – more bandwidth does not give you more signal strength. LTE signal strength will always be about -20dBm lower then your equivalent HSPA+/UMTS or GSM signal because your phone reports RSRP for LTE and RSSI for HSPA+ and GSM. Please google the difference between the two for more explanation. Ya I had no idea :-/. I just switched to T-Mobile in November (after an 8 year hiatus with sprint) and I only have had try it on the GS4. There might an App that can tell you the information. I just never tried to look for one. That’s because for HSPA+ you’re looking at the RSSI and for LTE you are looking at the RSRP. Please google both those terms, it would take way too long to explain here. The short answer: The dBm reading for LTE will always be about -20 dBm lower then the exact same signal strength on HSPA+. That’s totally normal and expected. No, it’s not.. LTE and HSPA+ are completely different technologies. Un-refarmed HSPA+ runs on the exact same frequency as LTE (AWS or 1700/2100). Bandwith has nothing to do with signal strength. HSPA is now 1900 in many areas. Anyone near Hillsboro, OH? Would love to get my sister on magenta. Huge dead spot according to the map. I live in Blanchester, and that is pretty much the end of T-Mobile coverage if you are heading east on 28 towards New Vienna. I go to Hillsboro frequently and have to use my AT&T phone there. My TMO phone is a paperweight. You might want to switch back soon, they plan to upgrade all their EDGE to LTE by the end of 2014. Hoping the pop up coverage there. Wonder how often they update the coverage map. I know exactly where Hillsboro is lol. There is no T-Mobile coverage there at all. There has been an LTE sighting in Wilmington, Ohio so there is hope! We should put pressure on T-Mobile to build more towers in Ohio. I can say working for a telephone company we have received bids for upgrades of several sites from tmobile. They are not on the “list” It looks like they are getting pricing for about every site. They are requesting several options. What do you mean by not being on the list ? Are these ‘sites’ you refer to nationwide ? What sort of upgrades were they inquiring about? What sort of work does your company do? Yep, so you have 10+10 mhz bandwidth there.. The EARFCN is the frequency it’s transmitting on. Google ‘EARFCN calculator’ if you want to know the actual frequency (EARFCN is a channel number that corresponds with an actual frequency). Yeah that test code screen is super cool… I use it all the time. So glad we can access that on our samsung phones. Do you get that info by dialing that number on your GS4 or what? You get that info by dialing the *#0011# on the dialer pad of your samsung phone… I have a note 3 but I have seen others here say it works on a GS4. Does anyone know how I can get that information on my MOTO X? I tried the code, but it didn’t seem to recognize it. LTE is live in Fairfield Township which is just East of Hamilton OH. If someone does see LTE South of 275 can you get a screen shot *#0011# so we can see if it is Band 4 AWS or PCS Band 2 and sensorly it. I haven’t personally seen LTE South of 275. I wonder how did they do this because they will have to either take down their DC-HSPA+ network to 21.1 mbits because they don’t have the spectrum in Cinicinnati. Wish we had more than HSPA+21 here in Cincinnati, but unfortunately we dont. PLMN: Public land mobile network. Identifies who you are connected to (310-260 is T-Mobile) TAC: tactical area code. Just like LAC in a GSM/UMTS network. BW: how much bandwidth each way you have. PCI: Physical cell ID. That’s the ID of the cell site you’re connected to. If you want to know when you switch to a new site, watch for that number to change. RSRP: Measure of signal strength in LTE. On top of cell site is usually about -70 or so. RSRP: Measure of the sgnal quality. Lower (actually, higher negative) number is better. Never seen it better then -3 (on top of site). When it gets to -12,-14 signal is pretty crappy. All I know is that signal and data speeds have been very erratic here at work in Florence, KY, for the past 2 weeks. I often loose connection or get switched back and forth between 4G and 2G. I’m just hoping deployment is on it’s way here in the near future. yea same thing here in Mocksville, NC…i hope they are working on it very soon! I’m still just excited to know that, LTE is on the way! Yes! That’s awesome. Please keep us posted as to what happens with the signal. Thx. It’s probably one tower that’s lit up and is in a testing phase for the time being, that’s why its so shaky. Expect a stronger signal once more towers are lit up. Are you coming to LTE straight from 2G or 3G/4G? T-Mobile’s coverage map indicates LTE all over Cincinnati…. You are correct lol. But unfortunately I think it’s a fluke, I haven’t picked up a thing. Unless they are gonna flip the switch later. My buddy over in Fairfield has been picking up live LTE, it’s coming and soon guys!! LTE just popped up downtown for about 15 minutes then reverted back to 4G. Looks like it might be going live downtown soon! I travel to Cincinnati often and the signal is always going in and out. It’s very frustrating. Just find a way to increase the signal strength already! It’s not the phone because I’ve had multiple phones over the years and the signal has always been weak here!